Have you ever wondered why you sometimes feel inferior to or put down by a someone, and then notice that another time they are reacting to you as though you were superior to them or putting them down? Rank differences are the key contributor to conflicts and their escalation. Having rank awareness gives you an insight into what is happening in a conflict. Arnold Mindell developed the concept of rank to bring awareness to th e process where people feel more or less powerful in any given situation at any particular moment. 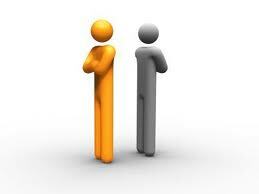 Rank differences and the misuse or abuse of rank is behind all social situations and contributes to all conflicts. Having awareness of your own rank helps you to understand why you may feel less powerful or abused by someone with higher rank. Having awareness of your higher rank can lessen the likelihood of your using it in a way that is experienced as hurtful or abusive by someone of lower rank. High rank can be used in a positive way if a person is conscious of their high rank and can occupy it congruently. Rank is described as the sum total of a person’s power and privileges at any given moment. You earn some of your power and privilege over your life, by facing life’s challenges and overcoming them. Some rank is unearned; you acquire it by birth or social position. Rank is not constant and can change from moment to moment in a particular situation. A person who has lower rank will notice rank and experience it more acutely than a person with higher rank. People with higher rank can be unaware or unconscious of their rank. If you are unaware of your rank, it is more likely to be experienced as abusive by someone else. Rank is neither good nor bad – it just is. Becoming more aware of your rank reduces your likelihood of abusing it. Rank is demonstrated through signals such as posture, tone of voice, volume of speech, clothing, language and gestures. You cannot hide your rank, it will come out in double-signals; you may be saying one thing but your body language will be telling a different story. Social Rank is generally unearned, and its relative powers and privileges are supported by social norms. They cover areas such as gender, class, ethnicity, colour, wealth, nationality and education. Local or Situated Rank arises in a particular situation and is specific to an individual’s position in that situation. Someone’s high social rank may not apply in a particular social situation such as the workplace. Psychological/Spiritual Rank is the power that you gain from life experiences, particularly overcoming and surviving difficult and challenging situations; or it may come from a feeling of connection to a higher power or to nature/the environment, etc. Within an organisation or workplace, local rank issues are going to be to the fore. Organisations have hierarchies, and people with more authority will have higher rank. Differences in pay, authority, responsibility will all come into play. Who has the biggest office, where someone’s desk is situated, what resources they have access to will also affect a persons feeling of power, security and wellbeing. Cultural norms within the organisation will also come into play. Particular forms of behaviour or ways of thinking will be valued differently; some more highly; some will be disapproved of. Rank affects the way that people interact with each other. It affects the level of trust people have of each other and it affects how safe they feel with each other. It affects the way that they can and will have conflict with each other. Don’t get judgemental about your rank or the rank of others; there is nothing you can actually do about your rank. You can, however, do something about how you use your rank. If you are in a high rank situation, use it positively. Be aware of it and the advantages it gives you and use these advantages in a positive way. By becoming more aware of your rank and the rank of others can shed a lot of light on the relationship dynamic and behaviour in an organisation, workplace or team. You can start by taking stock of your own rank and then looking at how that may be affecting your behaviour and reactions to others. If this is done by others in your organisation or team, and shared and talked about it can radically change the way you interact and behave. The purpose of this exercise is to become more aware of your own rank so that you can own it and use it more consciously. You can do the first part of this exercise on your own. If you want you can use it with your team or a group that you are part of. How does rank affect relationships in this group?